The forests of eastern North America and much of temperate Asia are superficially very similar. While many genera in these two areas are the same or closely related, there are also striking differences between the floras of these regions. The prevalence of broadleaf evergreen trees such as oaks is one conspicuous disparity. 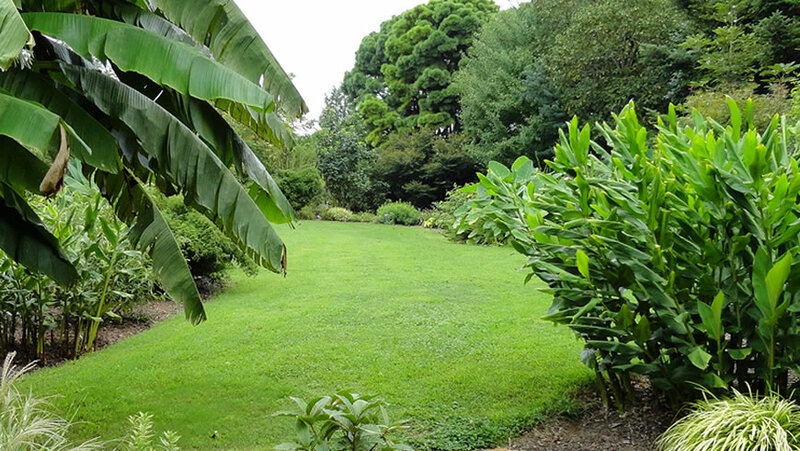 Areas with monsoonal climates often mix subtropical plants such as gingers, bamboos, and elephant ears with conifers, evergreen shrubs, and deciduous trees producing visually stunning contrasts. Many of our most cherished garden plants come from Asia and have been grown in the west for centuries while species new to cultivation as well as novel selections are continually being introduced by plant collectors and breeders today.